When I conceived my first baby, I was working in Tokyo for 4 years. I was working for a European company at that time, so it wasn’t as hard as Japanese Companies. 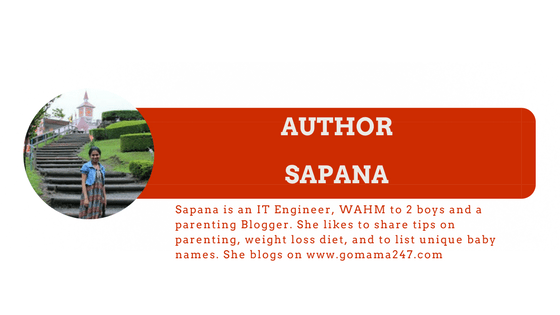 If I compare my 2 pregnancies, then I was more active, healthier, and on perfect pregnancy diet while working in Tokyo, as compared to my stay at home mom in Mumbai during the 2nd pregnancy. I think, a working woman follows the diet and fitness routine better than a stay at home mom. That’s what my personal experience taught me. In Tokyo, I used to travel by train to work daily, while I was pregnant. It was one of most crowded trains in Kanto Region of Japan, but I was lucky to get on these trains during little less-rush hours. Also, the priority seats were the savior. I hardly had to stand in a moving train. Even if I had to, there was no hustle to worry about. In the last trimester, when my baby bump was pretty big, I had to use the special premium cars on those trains. That was an absolutely awesome experience; very luxurious and very comfortable. I used to have loads of fruits, salads, and nuts etc. I am a non-vegetarian and love all Japanese Foods, especially the Chicken Dishes. Other than the priority seats, Japan has very good maternity leave laws and other facilities too. In general, you get overwhelming help and support from the public in Japan when you are with a bump or a newborn. People will come and ask if you needed a chair, if you had to stand in a queue. Most of the elderly women would give you a pretty smile and show appreciation, on how working while being pregnant isn’t easy. People are considerate to women with a bump or newborn. As the part of government programs, a few seminars/workshops are given to pregnant women in the ward office. There, you get to meet women in the same week of pregnancy. The experts and doctors give you guidance and workshops on how to take care during pregnancy. You also get free leaves from office to attend these, if scheduled on weekdays. The gynecologists in Tokyo never prescribed me any prenatal vitamins. When I asked if I should take any, I got a funny answer from my Doctor. It was, “Do you need Iron? Then take some Spinach+Tomato, You need calcium? Have some tofu… You aren’t 60 yrs old, your body can still actively absorb nutrients from food naturally… no need to load body with unnecessary tablets.” This was an eye-opener for me! I too believe in natural vitamins hence this information pushed me to follow a well-rounded diet. There is a popular African Proverb: “It takes a village to raise a child” Even though not as social as Indians, Japanese people do respect and follow this perfectly. This is amazing to hear. It definitely takes a village to raise a child and that no joke. Having a support especially when staying away from your homeland is definitely not easy. Wonderful post. Working during pregnancy is no easy. Good to know she pulled it off easily. Also the doctor’s advice on natural ways of absorbing vitamin is something we all must think upon. It was so good to read about the healthy environment she got during the most beautiful yet challenging phase. Working while pregnant is no easy but at the same time it keeps you active. 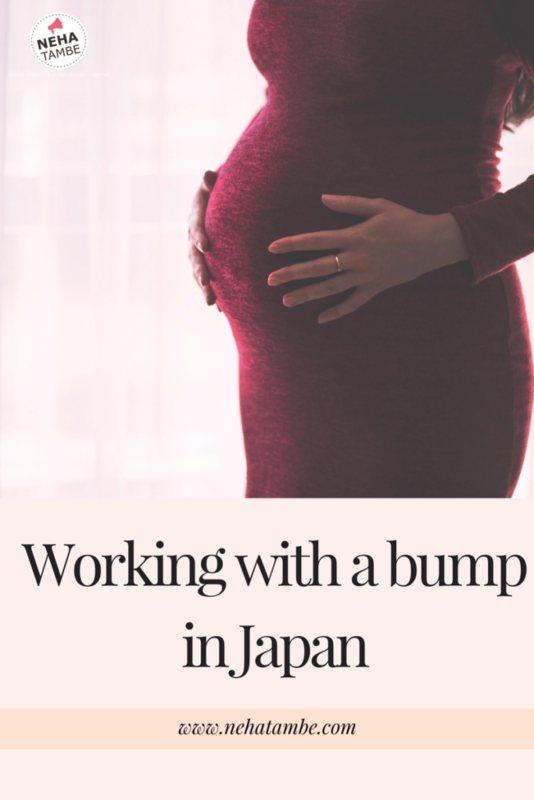 Wonderful reading about your journey as an expectant mom in Japan. This was such a beautiful read. It feels so good to know how considerate people are in that part of the world. So true.. even i feel working women has better eating habits than a stay at home would be mom. As they have a fixed routine to follow. 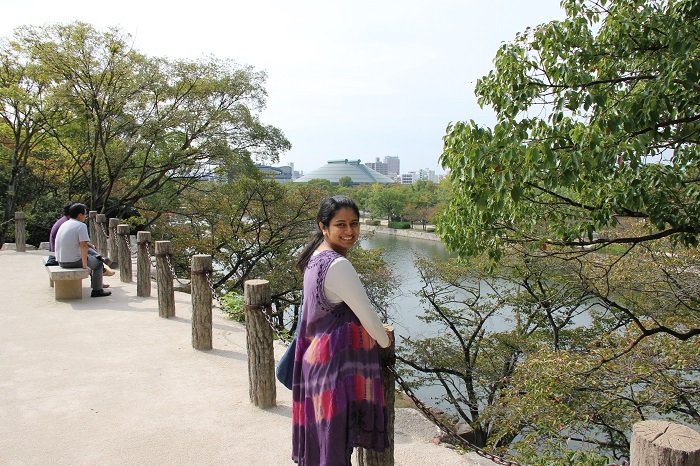 Good to know about Sapna and read about her experience as a working pregnant mom in Japan. I feel maternity and pregnant women are held in much higher regard and respected outside India. This post proves my theory as I have also noticed instances in Europe when women are well looked after by their employees. That’s nice to read. Good that they respect a pregnant lady this way.